Ascend software is compatible with Quickbooks. If you want to use Quickbooks for your shop's accounting, you'll need to set up a Company File with the recommended Chart of Accounts (COA). Ascend's retail accountant team also offers Bookkeeping services for Ascend retailers. Learn more here. Follow this link to sign up for Quickbooks and download the latest version. 1. 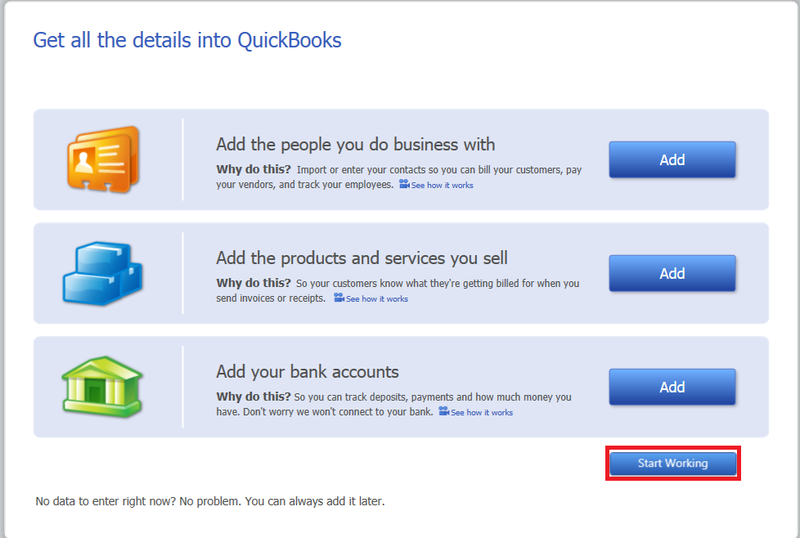 In Quickbooks, go to File > New Company. 2. Choose Express Start. The Glad you're here window opens. 3. Enter your Business Name. 4. For the Industry field, select help me choose or Other/None. 5. 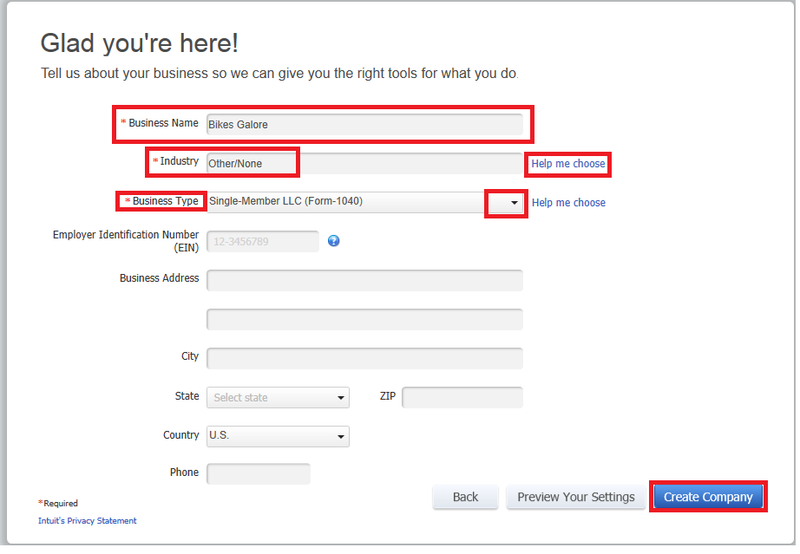 Select your Business Type from the dropdown menu, or click Help me choose if needed. 6. Fill in any other information as needed. 7. Select Create Company. It may take a couple minutes for the file to be created. 8. Once it's created, select Start Working. 9. Click on the Lists tab to view your Chart of Accounts (COA). 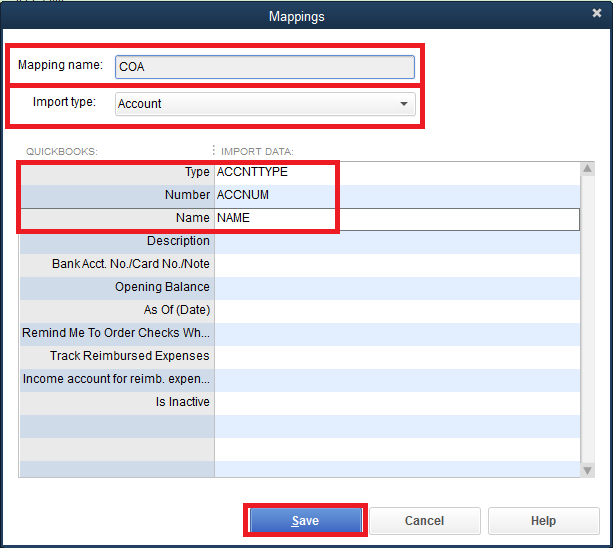 Now it's time to import the recommeded Chart of Accounts (COA). Be sure to use the correct one; there is one version for single stores, and one for multi-store locations. 1. 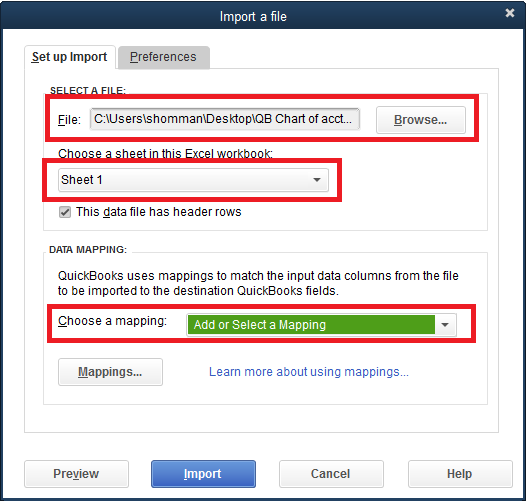 In Quickbooks, go to Files > Utilities > Import > Excel Files. 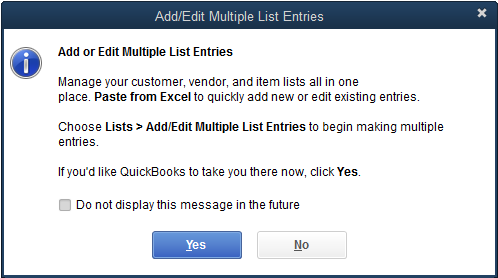 The Add or Edit Multiple List Entries window opens. 2. Click No. 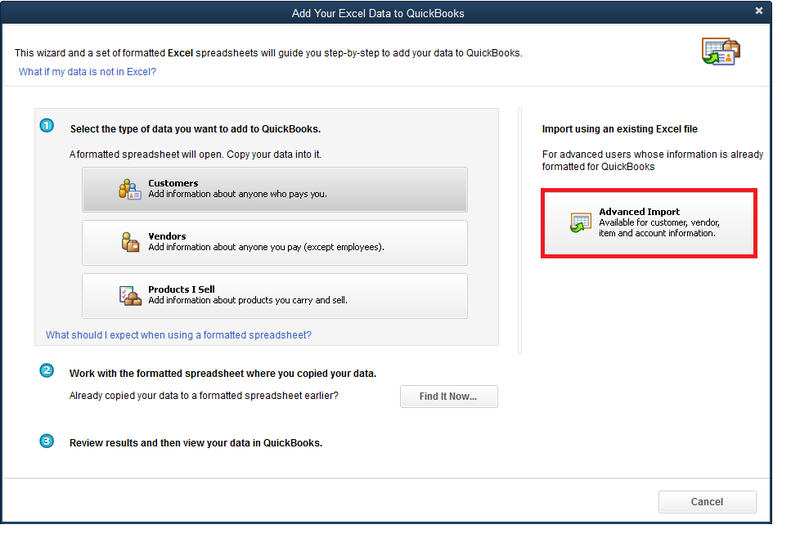 The Add your Excel data to Quickbooks window opens. 3. Select Advanced Import. The Import a File window opens. a. Click Browse to navigate to the location you saved your COA. Select the COA. 4. Under Choose a mapping, select Add New. The Mappings window opens. a. Select COA for Mapping Name. b. Choose Account for Import type. c. For Type, select ACCNTTYPE. d. For Number, select ACCNUM. e. For Name, select NAME. 7. Back on the Import a file window, the Choose a mapping field should be filled in. 9. Select Yes to confirm the import on the Import window. 10. The Duplicate records found window opens. This is totally normal! 11. Just check the circle for Replace ecisting data with import data, ignoring blank fields. 12. Select Apply to All. 13. A prompt will appear asking if you'd like to save the error log. Select Save if you'd like to save it, or Don't Save if you do not. In order for Quickbooks to work with your Ascend software, you need to turn on the account numbers. 1. 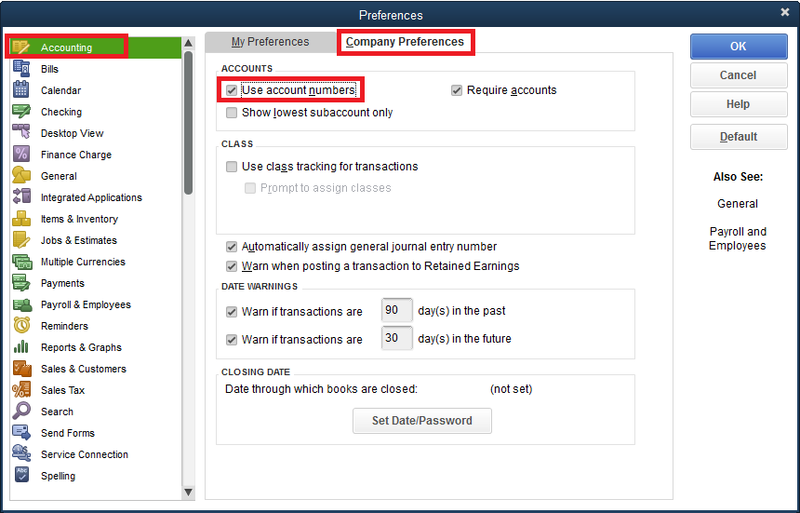 In Quickbooks, navigate to Edit > Preferences > Accounting > Company Preferences. 2. Check the box for Use Account Numbers. 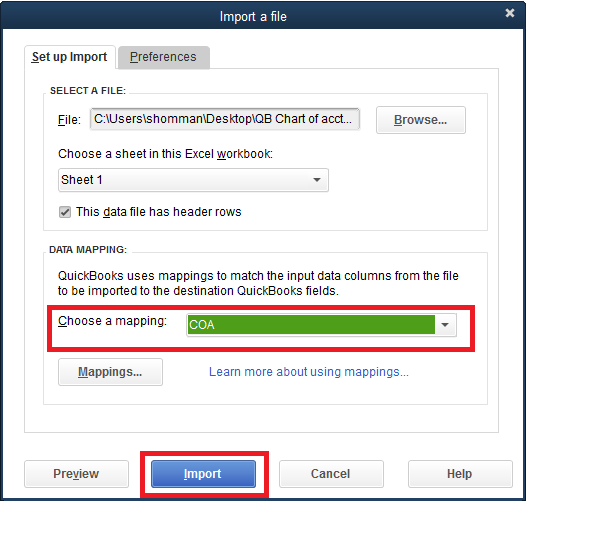 Q: Where do I get the COA Excel document that I'm supposed to import? A: You can email accounting@ascendrms.com to get the document(s).